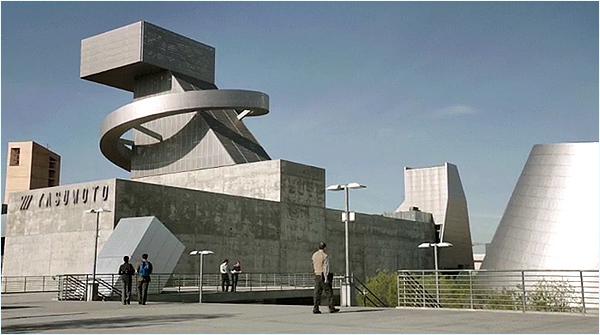 The actual Southern California locations where Steven Spielberg's sci-fi series was filmed. 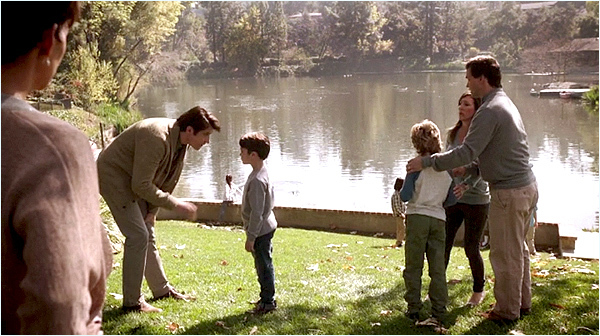 0:02:00: Near the start, we see a "Welcome Home" party at the home of John & Molly Woods. Molly, an astronaut, has just returned from a long trip into space. (whom, it turns out, is not exactly human - he's a "Humanich", an AI android). This home is at 1260 La Loma Road, in Pasadena, California. The house, and a few neighboring homes, sit on the banks of a small, hidden lake. eighteen homeowners, who have sole access to the natural body of water. 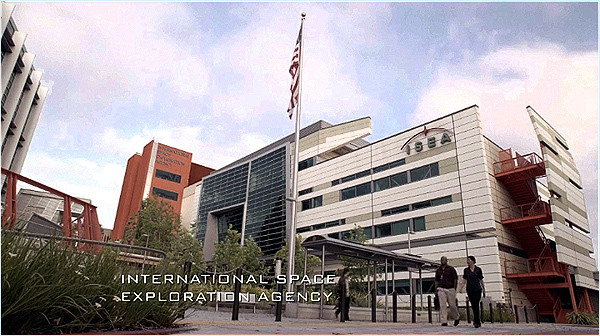 but I recognized it when it finally showed up on the pilot episode of "Extant". Turns out it's been on TV before, in the shows "Medium" and "Celebrity Rehab". arrive at Yasumoto Corp., where John is hosting a discussion of his work. safety issues with androids ("Humanichs") and asks him if his son has an "off" switch. with Hideki Yasumoto, the head of the corporation. 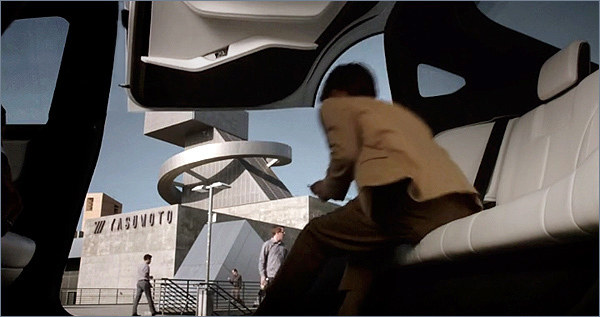 One would be forgiven for wondering if this futuristic building was actually just a CGI creation. But no, believe it or not, it's very real. And it's right here in L.A.
at 450 N. Grand Ave, in downtown Los Angeles. This is an academy for young artists, dancers, musicians and actors. 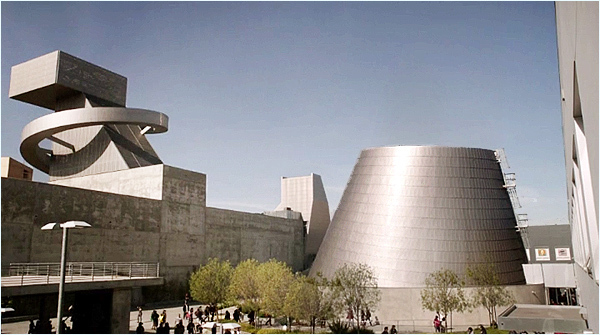 It was built in 2009, designed by Austrian architect Wolf Prix. Here is a Google StreetView of the school. 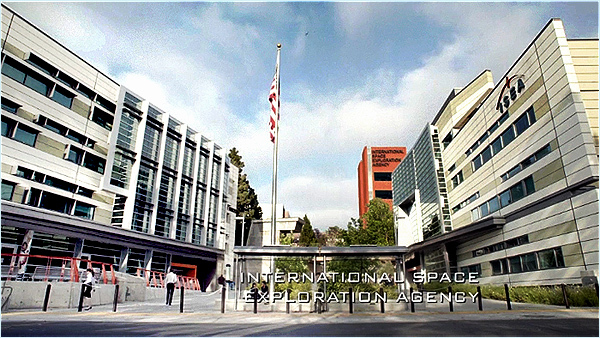 which is a future version of NASA, only private and international. despite having just spent 13 months alone up in the Seraphim space station. Molly has a flashback to an odd encounter on the station with a long-dead lover. some kind of modern business park. I also suspected that the buildings were very new. 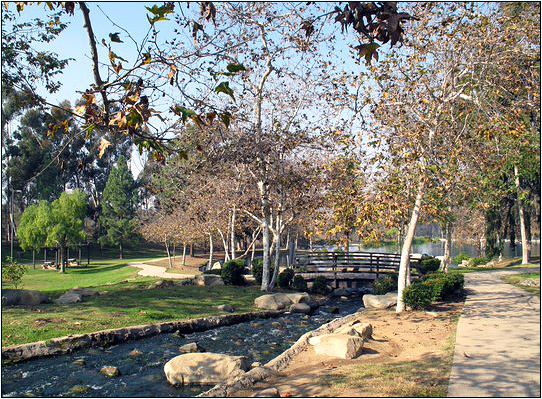 business & office parks. Some aerial photos didn't even show the buildings yet. But after two weeks of searching, I finally found it. 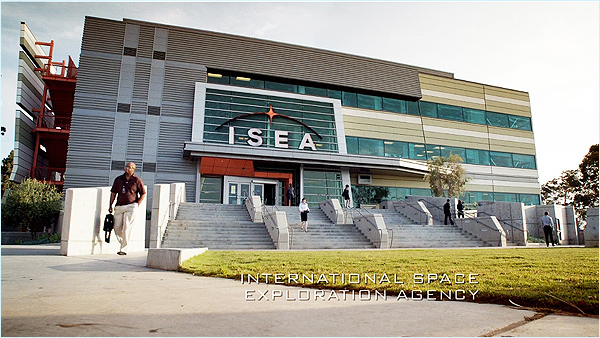 West Los Angeles College, at 9000 Overland Ave, in Culver City, CA. The buildings are located near the junction of B Street & F Street, on the WLAC campus. 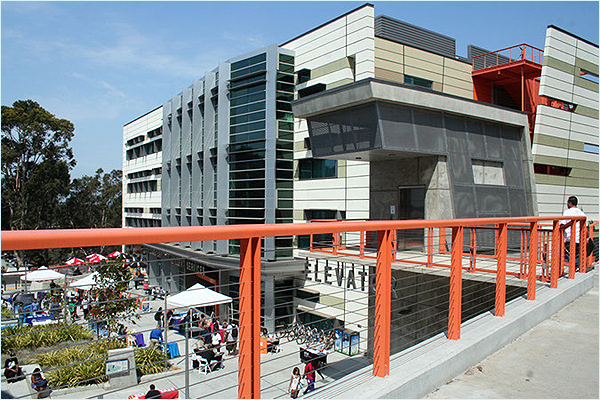 The new Student Services building, at West Los Angeles College. 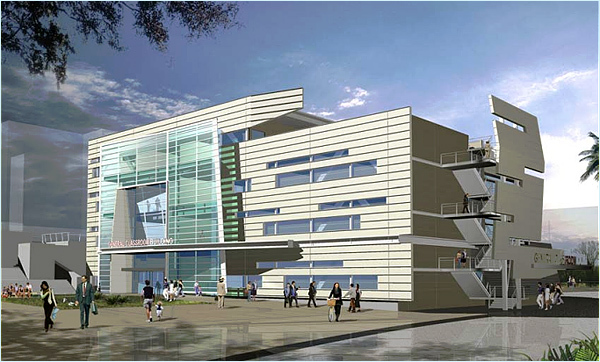 And the new General Classroom building, at West Los Angeles College. 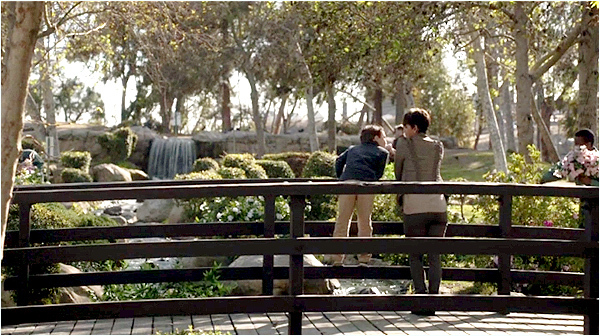 0:41:42: Molly and her android son, Ethan, go to the park. tells her it is already paid for (by someone who is nowhere to be seen). 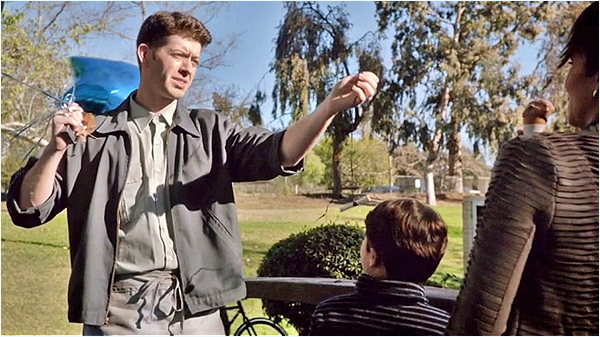 Attached to the balloon's string is a note that reads: "I know what happened to you." When Ethan drops his ice cream cone, he gets angry, and runs away into the woods. Molly finds him there, with a dead crow. He tells her it was like that when he found it. at 4100 S. La Cienega Blvd, in the Baldwin Hills area of Los Angeles. that connects a small pond (to the south) with Gwen Moore Lake to the north. park road curves from south to east. on the other side of the parking lot, northwest of the pond. where there's another small waterfall. It is about a half mile northwest of the ponds. Here is a Google StreetView of the park entrance. 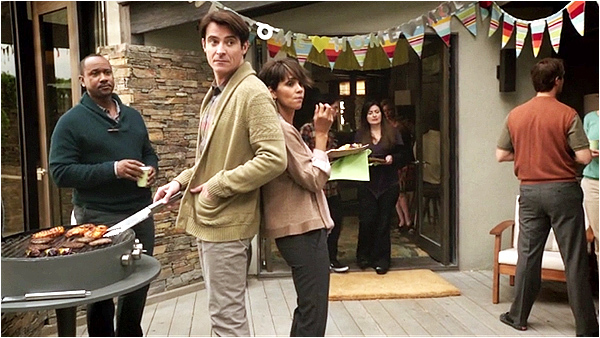 The photos on this page are stills from "Extant"
(which you can buy by clicking here) and are copyright CBS.